It’s hard to believe that Fall is here already and Halloween is just about two weeks away. If you know anything about Army Wife 101, we love sharing the local happenings here at our home base of Fort Bragg located in Fayetteville, North Carolina. 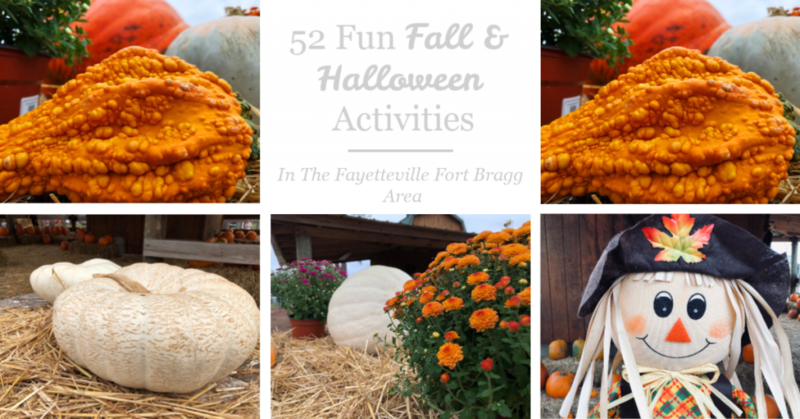 There’s definitely no shortage of things to do in Fayetteville (despite what you might hear) and thanks to the Fayetteville Area Convention and Visitors Bureau we’ve got proof with over 50+fun family and couples activities to add to your calendar for the remainder of October and throughout November. « Fayetteville/Fort Bragg Happenings: The Harlem Globetrotters At The Crown Complex—ONE DAY ONLY! Attention Fort Bragg North Carolina Harry Potter Fans…Join Us Downtown Tonight & Tomorrow!